Our Rancher's Roll Top combines the convenience of a roll top with classic Mission furniture style. Customize your desk that will stand the test of time. 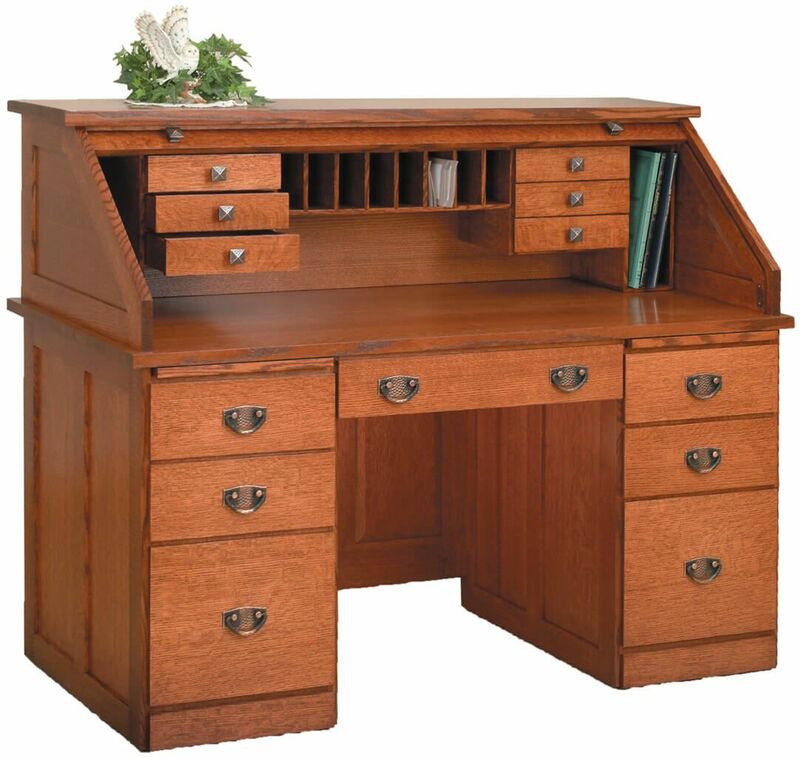 Our Rancher's Roll Top desk is carefully handcrafted from the finest solid woods in the classic Mission style. 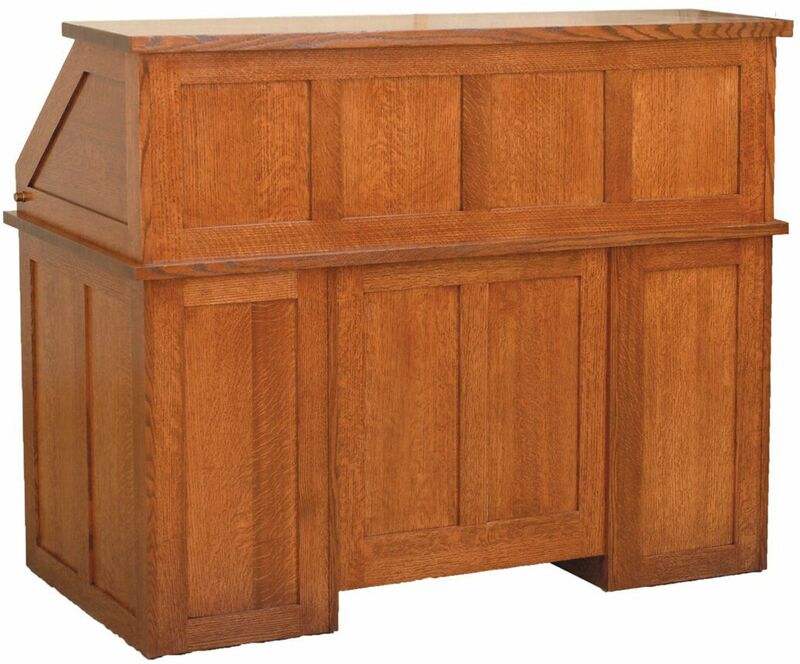 Our handcrafted Amish roll top desks are designed for long lasting functionality, but they are also hand stained and finished for incredible beauty and durability. We use the finest, sustainably harvested real woods to create each desk from the dovetailed drawers to the raised panel ends and back. Pictured in a Sassafras stain over solid Quartersawn White Oak, this roll top desk is also available in several other combinations. Each Rancher's Roll Top Desk is fitted with highly functional hardware and is made-to-order to your exact style specifications. Experience the difference of quality and value from Countryside.